A sugar high - from debt-fueled tax cuts - is expected to wear off in the near term, contracting economic growth coupled with a deepening trade war, could lead to the next financial crisis. One looming threat to President Trump's booming economy besides tariffs, is the consumer, as their revolving credit, i.e., credit card, debt has recently hit all-time highs, during a period of rising interest rates, could create a squeeze, thus reducing their ability to buy things they do not need nor can afford during this upcoming holiday season. 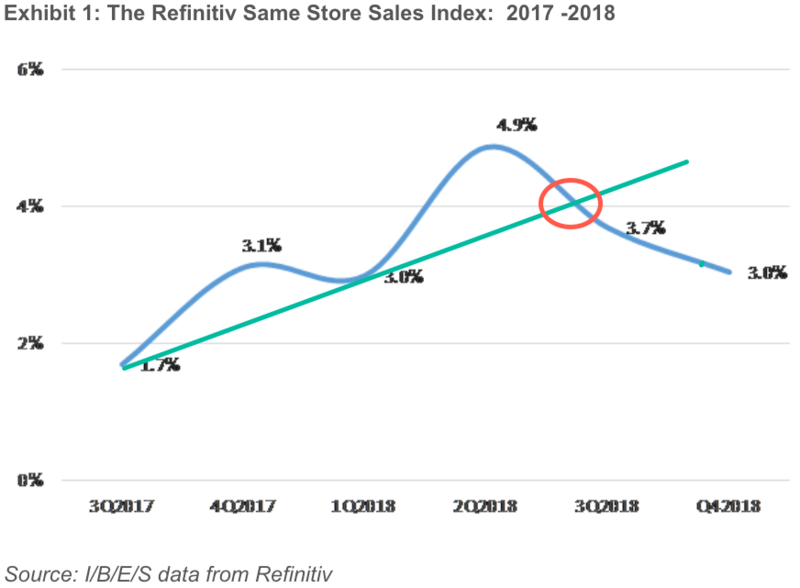 President Trump's deepening trade war with China has been a significant concern for retailers, and are increasingly being mentioned on earnings calls. 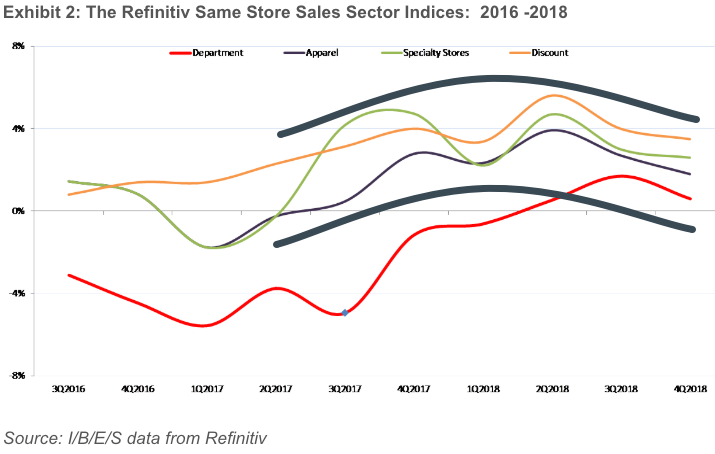 Retailers started reporting Q3 2018 earnings last month, and more than 25 of them have warned about tariffs. 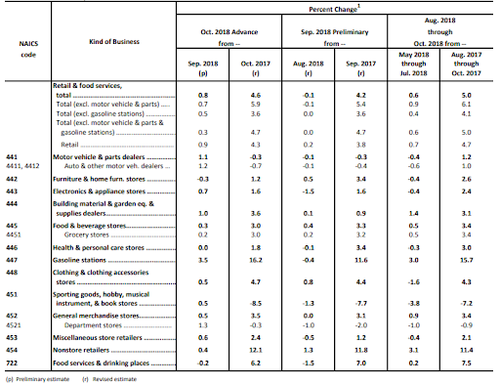 ...And earlier today, core retail sales rose only 0.3% MoM (below expectations). 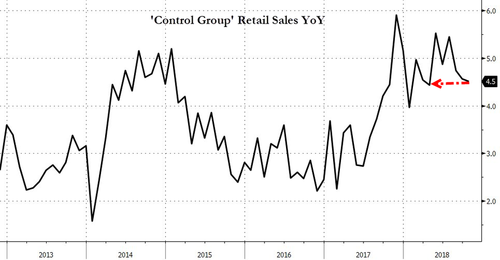 Finally, the YoY Control Group Retail Sales printed 4.5% - the weakest since April, and perhaps gives some credibility to Refinitiv's claim that retailers could expect a weak holiday season.